Hope Estate is an ideal place in the Hunter Valley Region for wine, dine and entertainment. Perhaps best known for their concerts, Hope Estate attracts hordes of visitors and music lovers from the region as far as Sydney. 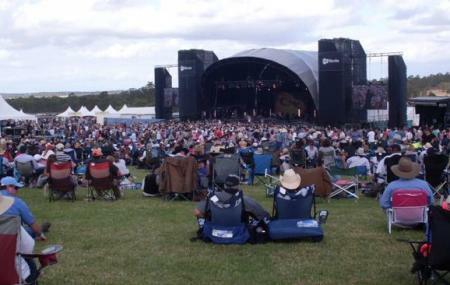 They also host popular events like the Oktoberfest and have started a musical festival called the Campfire, which attracts some of Australia’s best musicians. The estate itself has a winery, a fine dining restaurant and large amphitheatre where it hosts its events. No outside food and beverages are permitted. Be sure to wear comfortable flat shoes as most of the area has grass cover. Professional photography or videography is prohibited. They vary for concerts and events. Gates open Hope Estate Concerts at 4:30 pm on the day of the show. How popular is Hope Estate? People normally club together Aqua Golf And Putt Putt and Cessnock Performing Arts Centre while planning their visit to Hope Estate. This was no. 3 three on a whole day's wine tasting tour. This was definitely the best part of the day. We spent about an hour trying the wines, which were poured into different glasses tastefully set up on a table. We were given lots of background information and allowed to form our own opinion. We were fortunate to get a recommendation to go tasting here, which happily does not charge a fee like so many of the other winery's. Best of all, their wines are EXCELLENT, and reasonable! The staff was really friendly and helped us try a variety of wines, which we appreciated. They were the best wines we got while in the valley, and wished we'd bought more, but ran out of time to go back. Would strongly recommend this winery for a tasting. Went for wine tasting and a meal. I think this winnery makes more money doing concerts. Wine was fair and the best wine they offered cracker, the grapes are grown elsewhere. Chicken skin on the main course looked like rubber. Service was nice and views were good from the table.